Fatigue is something most of us have dealt with in our lives. The problem is, many of us suffer from debilitating fatigue daily. It can interfere with your work, your spouse, your children, and of course, your health. 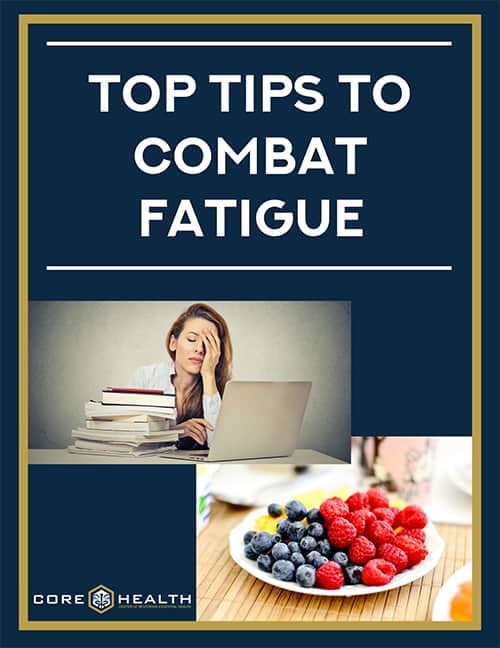 This eBook will guide you through the top 7 tips to combating fatigue and what you can do to feel better and have more energy!